PGIMER 2019 Admit Card for July session will be declared in the first week of May 2019. PGIMER is a national level entrance test. 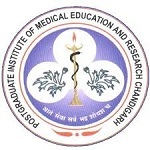 It will be organized twice every year by the Postgraduate Institute of Medical Education & Research (PGIMER), Chandigarh. It will be conducted to offer admission in the MS/MD courses. Here in this article, we have provided all information about PGIMER Admit Card 2019. Candidates can download the admit card from the official website of PGIMER. PGIMER admit card 2019 will be available through online mode. Candidates can get admit card from the first week of May 2019 (July Session). PGIMER Hall Ticket 2019 is a necessary document which must be carried by the students on the exam day. It will be comprised of candidate name, roll number, date of birth, exam date & time, exam center, photograph, etc. In case of any problem in the admit card, candidates can contact the admission authority of PGIMER, Chandigarh. A page will open where you have to log in. Enter the details like User Id and Password. Now, you will be able to view their admit card. Download it and take the print out of the admit card. PGIMER 2019 Admit card will contain information related to the candidate and the examination. Before appearing for the exam, candidates must make sure that the details present in the admit card are accurate and true. In case of any discrepancy, candidates can contact the authority of PGIMER, Chandigarh. Communication Details:- Email id, address, mobile number etc. Students must reach the reporting exam center on or before the allotted time. Admit card and other essential documents must be brought by the candidates. Any kind of electronic device or prohibited items must not be brought in the exam hall. The admit card may be retained by the supervisor in the exam hall so an extra copy of it must be kept for further use in admission. PGIMER 2019 Admit card is an important document which carries the important details of the applicant and appearing exam. The applicant must not forget to bring the admit card on the exam day as it a ticket to enter the exam hall. If you have any query regarding the PGIMER 2019 Admit Card, you can ask your query in the comments section given below. My application has become ineligible.. is there any possibility I can appear for 2019 pgimer exam.. my verifying the documents!? What to do if I’m in the ineleigible list because of a missing document. I wish to upload it now.